The Chicago Department of Public Health is investigating an outbreak of salmonella after six people who consumed food from Supermercado Rivera (4334 W. 51st St.) became sick late last month. Individuals associated with the outbreak consumed carnitas or other food items purchased from the store’s kitchen counter on Feb. 23 or Feb. 24, according to CDPH. Health officials are urging anyone who has purchased foods from the kitchen counter on those dates to discard those items, and warn that those who consumed such foods may have been exposed to salmonella. Symptoms of a salmonella infection include diarrhea, fever and abdominal cramps. Most people experience symptoms between 12 and 72 hours after consuming contaminated food, and symptoms can last up to seven days. Anyone experiencing severe diarrhea, dehydration or a high fever should seek medical attention, according to CDPH. While most infections don’t require antibiotics, older individuals and those with weakened immune systems may need to be medically evaluated and treated. CDPH performed an environmental assessment of the grocery store and provided guidance on safe food handling practices and environmental cleaning to prevent further spread of diseases, according to a CDPH press release. Foods associated with the outbreak were no longer available at the store as of March 1, according to officials, who say there is no evidence that food made after this date was contaminated. Health officials continue to monitor the situation for additional reports of illness. 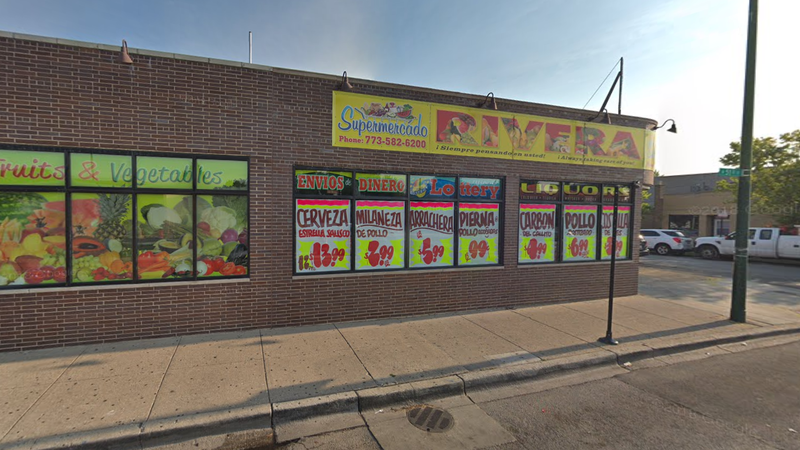 Anyone who experiences diarrheal illness after consuming foods from Supermercado Rivera is urged to contact CDPH by calling 312-746-7425 or emailing outbreak@cityofchicago.org to file a suspected food poisoning complaint.